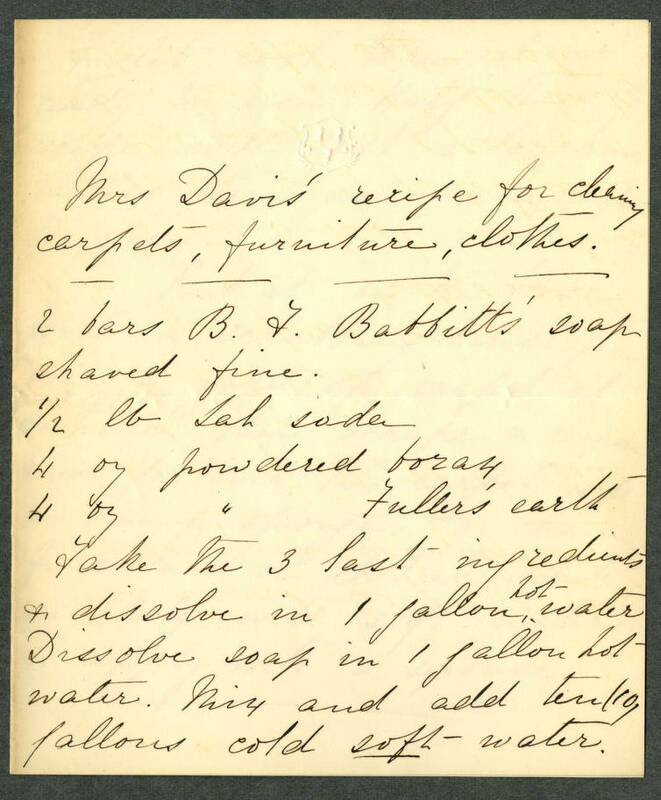 Mrs Davis' recipe for cleaning carpets, furniture, clothes. 2 bars B. F. Babbitts' soap shaved fine. 1/2 lb tab soda 4 oz powdered borax 4 oz " Fuller's earth Take the 3 last ingredients & dissolve in 1 gallon hot water Dissolve soap in 1 gallon hot water. Mix and add ten (10) gallons cold soft water.